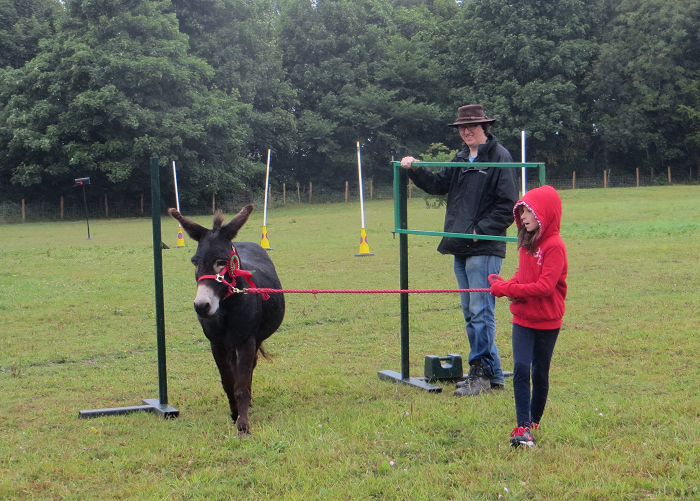 Last weekend, Ben and I attended our first Mule Camp … without our mule. This may sound like a bit of an oversight and, to be honest, I did spend two days wishing fervently that I’d brought him and pining after my very own long-eared friend. It would have been an ideal first outing but too many things conspired against us, as they are apt to do. Oh, well; there’s always next year – and the year after that! Marty and I are in it for the long haul and we’ve got all the time in the world. A meeting of mules? 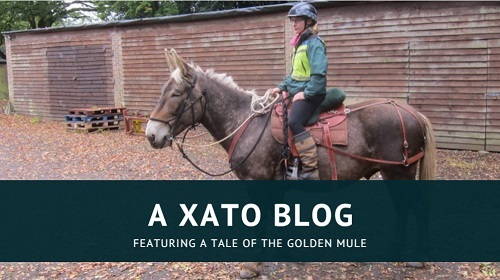 A muddle of mules? A masterpiece of mules? 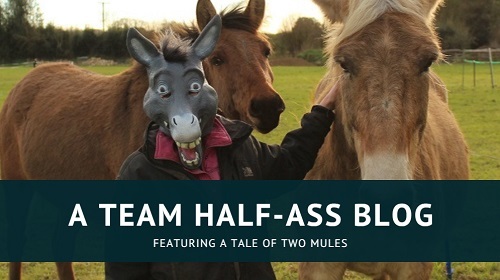 Since getting involved in mules, I’ve seen a lot of people talking about how truly wonderful mule folk are. I guess that makes sense, as you have to be a certain type of person to be able to work with these magnificently whimsical animals … a sense of humour, patience and a little bit of crazy (the good kind!) definitely helps! I’ve come to agree with this sentiment thanks to my online interaction with other mule owners, but Mule Camp let me experience it properly. I have rarely felt so welcomed and included. Jacqui and Clive, who hosted the event, even leant me one of their mules to ride on Saturday and another of their mules – the angelic, 35-year-old Polo – to show on Sunday. 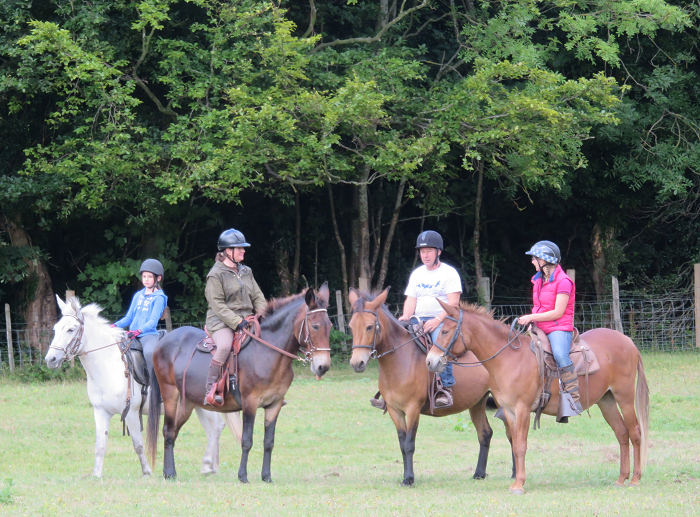 My first time on a mule – ever! 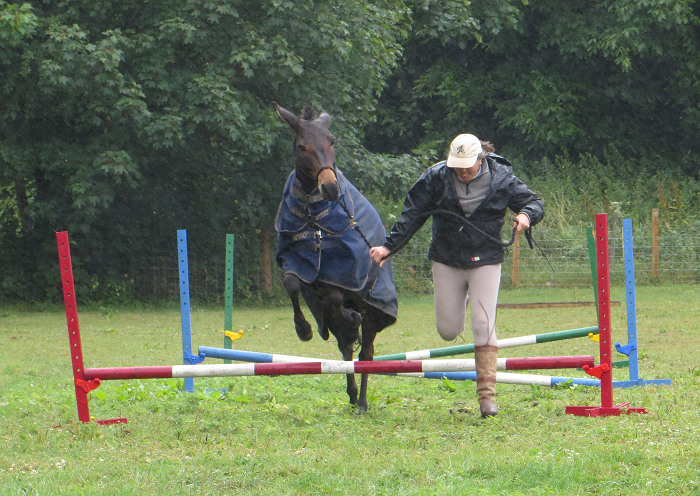 This is Fuego who, like Marty, is an Iberian cross. He was fantastic. I might have fallen a little bit in love. 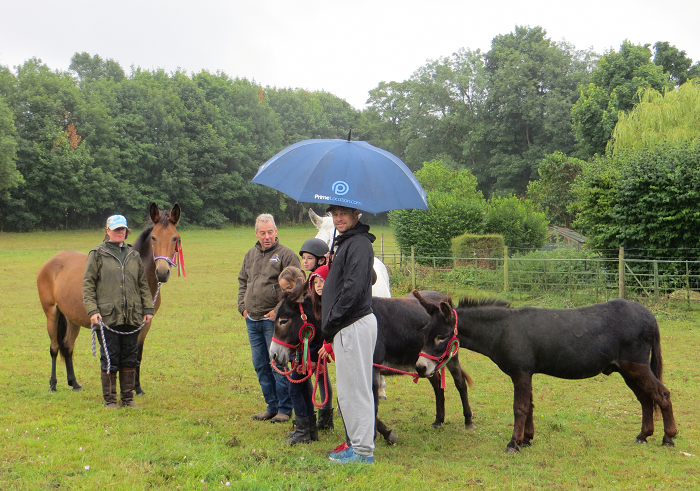 Sunday was very damp, but luckily there was shelter at hand. 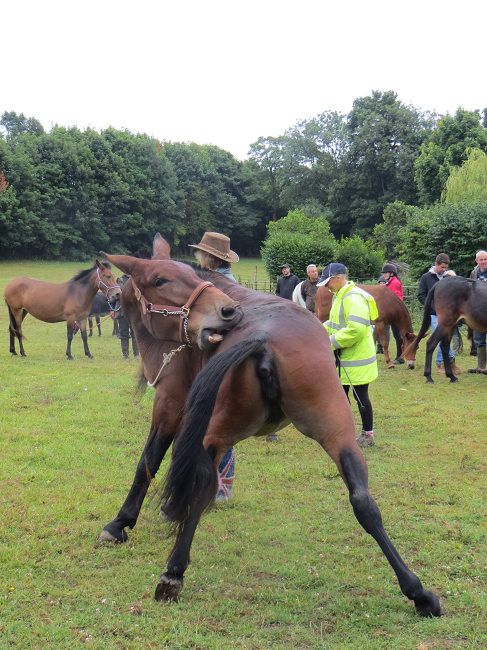 Yep, looks like flexibility in pursuit of an itch is definitely a mule thing! 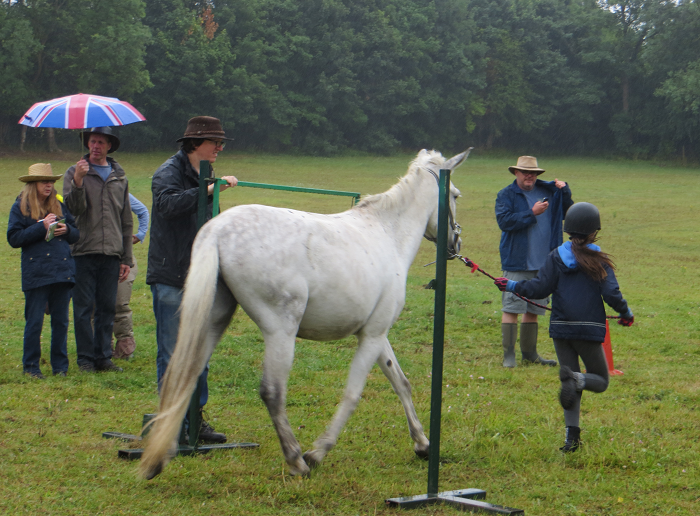 Due to inclement weather, Sunday’s show was in-hand only for safety’s sake – but that didn’t stop the fun! Short-ear alert! 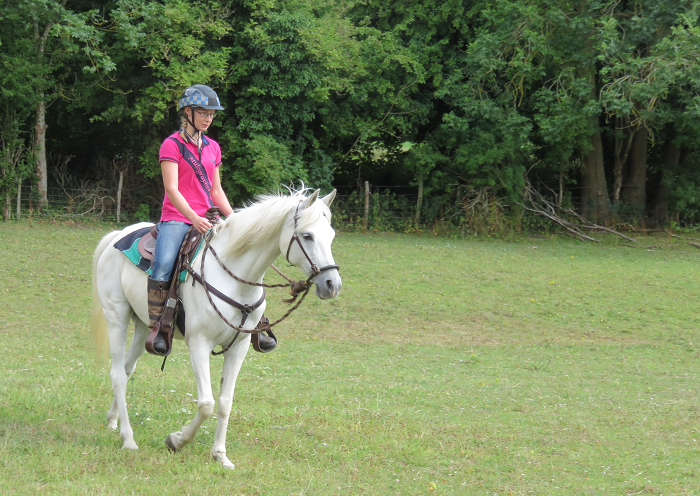 There was a Western demo on Saturday, and I was allowed to have a little sit on this gorgeous mare. 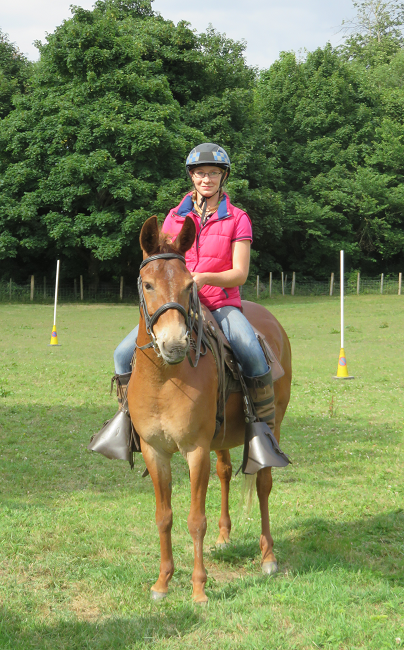 So it was a weekend of firsts: first ride on a mule, first ride on an Arab! One of the big things I got out of the weekend was a renewed sense of optimism regarding Marty. 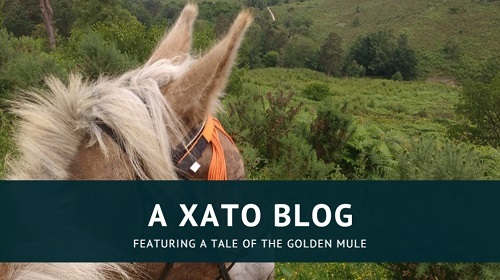 You might think that seeing a whole load of mules doing normal, regular things – like wearing an actual rug – and not flipping out over it would do the exact opposite, but I actually feel really encouraged. I suspect that Marty is particularly challenging, even by mule standards, but I’ve been a bit uncomfortable about voicing this thought because I am a mule newbie. I worried that people would roll their eyes and say that I’m simply incompetent, making excuses, whining about a little hard work or any other myriad of put-downs. But I know my mule. I know my mule, and from this point on I resolve to stop letting the opinions of strangers effect me, and I will exult in our positives and learn from the negatives. As a very wise friend told me, it is what it is. Marty has things he is fantastic at, and things that need work. If I focus on comparing ourselves to others too much then I lose sight of what we’ve accomplished. It might take another year or ten years to get to the stage where I can just saddle up and go for a ride without another thought, but that’s fine. We’re not in a competition, after all.